Working folks need workwear that offers durability, protection from the elements, ease of mobility, functionality, and more. This Wrangler Riggs Men's Loden Green 3W183 LD Heatseeker™ Foreman Vest delivers the features you want and more. Manufactured in a dura ... (see full details) (see specifications) #3W183LD. 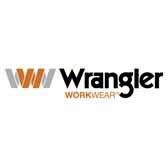 Working folks need workwear that offers durability, protection from the elements, ease of mobility, functionality, and more. This Wrangler Riggs Men's Loden Green 3W183 LD Heatseeker™ Foreman Vest delivers the features you want and more. Manufactured in a durable blend of 60% cotton and 40% Ripstop polyester with triple-needle stitching in the main seams, count on this sleeveless outwear for longlasting wear. Cotton is naturally durable, and the Ripstop polyester resists rips and tears and prevents existing ones from spreading. This one doesn't just look tough, it is tough. Protection from the elements? This water-repellent vest will help keep you dry and comfortable when working in damp or wet conditions. Water beads up and rolls right off. It will help keep you warm, too, thanks to a quilted Heatseeker™ lining made of 100-gram polyfiber to help hold heat. A sleeveless jacket is an ideal choice when you need freedom of movement. Without sleeves to bind and restrict your movements, your arms are free to move, without giving up protection to help keep your body warm. Last but certainly not least, this men's poly-lined vest is functional with three pockets. A chest pocket has a vertical zipper to hold items secure. Two lower front pockets add space for warming hands or for additional storage. Add some versatility to your men's workwear wardrobe with this durable, water-repellent, warm, and functional Wrangler Riggs Men's Loden Green 3W183 LD Heatseeker™ Foreman Vest delivers the features you want and more. You can buy yours right here, from the workwear specialists at Working Person's Store. Order today! Wrangler Vests: Riggs Men's Loden Green 3W183 LD Heatseeker™ Foreman Vest is being added to your cart.